Over 500 amateur astronomers and intrigued general public are expected to be drawn to the 250 acre Area of Outstanding Natural Beauty at Weybourne, which is famed for being blessed with some of the clearest and darkest skies in England, to enjoy crystal clear views of our planetary neighbours and elusive galaxies. Now in its 15th year, the event has outgrown its original location in Thetford Forest Norfolk and moved in 2004 to its current home at Kelling Heath Holiday Park which provides a natural environment with award winning facilities and an electricity supply to every camping pitch vital to fuel the high powered telescopes brought by many visitors. 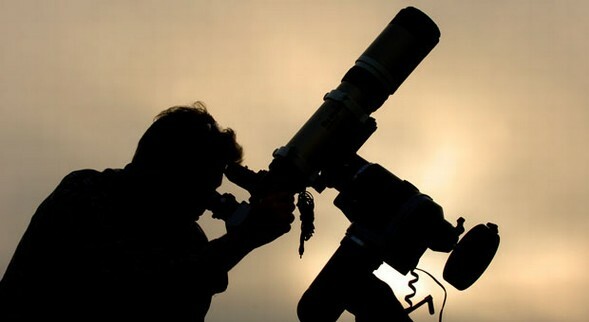 As well as star gazing, visitors will also be able to hear informative talks from leading academics in the field of astronomy plus astronomers of all levels can pick up bargain second hand equipment at the ‘Astro Boot’ and visit the trade stands. Kelling Heath’s restaurants and bars will be open for guests and visitors. the Terrace and the new Woods restaurant will be serving fresh and locally sourced food. Kelling Heath’s park manager Mark Durrant commented: “The star party has proven to be a great success, many people book months in advance and almost all the pitches are now booked up, including the two camping areas devoted exclusively to the astronomers. We also welcome non residents to come along and witness the amazing views free of charge and offer star walks as part of our seasonal activity programme”. Kelling Heath Holiday Park is celebrating its 25th Anniversary under the Timewell family ownership. Director, Michael Timewell commented: “Reaching the 25th year of ownership is an incredibly proud moment for the family, the staff at Kelling Heath and all those who have contributed in any way to the success we have enjoyed. A great deal of hard work has gone in from everyone to ensure that we provide a fantastic holiday experience to our guests whilst also preserving the surrounding environment so it can be enjoyed by future generations and we are delighted that the Star Gazing Party is returning to Kelling Heath again this year”. To celebrate the Autumn Equinox, Kelling Heath Holiday Park will be holding ‘Star Walks’ for visitors and holidaymakers by Andrew Robertson, however, these will be weather dependent. For more details telephone 01263 588181 or visit www.kellingheath.co.uk.